James Franklin is notorious for closely guarding his Penn State team's injury information. CHICAGO — Penn State coach James Franklin is someone who protects injury information regarding his players with all the zeal of the CIA guarding sensitive government secrets, which is why he has many questions regarding the release of such notifications with the advent of legalized sports gambling. Big Ten commissioner Jim Delany opened up the conference's football media days Monday by saying he was in favor of providing weekly injury reports, which he referred to as "availability reports," on a national basis in the wake of the Supreme Court decision on sports betting. Franklin said, however, that he was not "looking to do anything to help people in terms of who they're choosing and who they're betting on." "I'm not really necessarily concerned with helping people make better decisions with things like that," he said. "I do think obviously they'd like to have some situation where you're leveling the playing field … about everybody kind of playing by the same rules. The problem is, how are you going to enforce all those things? So one program is doing one thing, another program is doing completely the opposite, and it makes it challenging. "For us, I want to know what the rules are within our state. I want to know what the rules are nationally. Once I know what those are, then we'll just work around them, but to be honest with you, besides that, we're going to educate our players on what they need to be aware of, educate our coaches on what they need to be aware of. But besides that, there will be business as usual for us." Delany said an "availability report" is needed regarding injuries, eligibility or a "transgression of one kind or another." "I think we need to do that," he said. "I think we need to do that nationally, and the reason we need to do that is probably with the exception of the home field, the availability of the personnel is critical to people who are interested in gambling legally, or illegally. "Therefore, when players are unavailable, we should know that. If they're probable or likely, I don't have the model code, but I do think it is something that we should do and probably should have done it before, and certainly should do it now." Franklin said he will follow the rule if one is established. But if one is not, "then we're going to keep business as it's been for a number of different reasons. "Part of it was gambling, part of it is our players' health, it's personal, there's some [federal] laws when it comes to those types of things," he said. "And the other thing is, if I tell you, if you have a weakness, why are you going to put your weakness out on the table and let people know what those things are?" 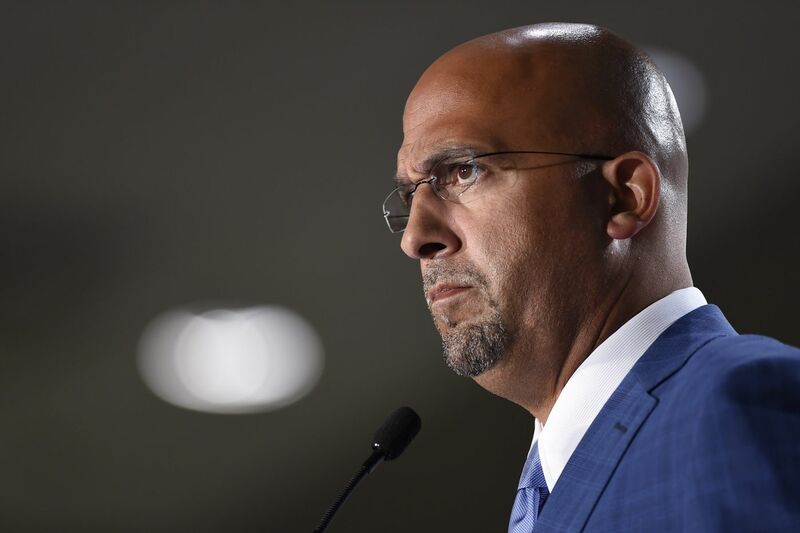 Franklin also expressed concern about how any new gambling-related rules would be enforced, whether each school would be responsible or if the NCAA would do it, and what penalties would be implemented if a school did not comply. For his part, Delany wants to see college athletics protected under any legalized gambling legislation. "I think that we would prefer a federal framework that omits college sports from gambling at the state levels," he said. "If that's not possible, then there should be some standardization of a framework so that college sports, high school sports, Olympic sports, those categories of sports, receive some additional protection."